Brewers look at beer’s rich history as inspiration for their next wildly imaginative brews. More and more brewers are reverting to traditional technology and are exploring the interactions between beer, permeable wood, and microorganisms. The interplay between wood and beer is very complex. Today, we are discussing the two main effects of oak on beers; namely barrel-ageing using bourbon barrels and barrel-fermenting in wine barrels. By law, bourbons must be aged in new American barrels which are heavily charred to depart smoky flavours. Once used barrels, unwanted by bourbon makers, are given a new source of life by brewers. 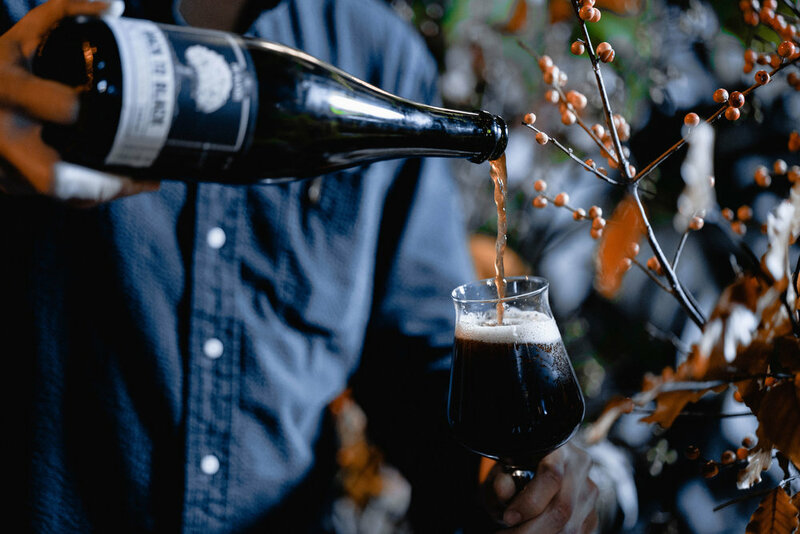 The most popular beer styles using the bourbon barrel-aging process are dark, malt-accented, and reasonably muscular beers that are able to stand up to the potent influence of bourbon. Barrel ageing refers allowing flavours embedded in the wooden staves to be departed into the beer; and not to act as a fermentation vessel. Many would consider this the 5th ingredients in beer. The beer could age in the barrel up to 1 year or more and is usually blended with other barrels for the best and balanced taste. At Blue Supreme, we regularly have barrel-aged beers. Embrasse, a bourbon barrel aged quadruple exhibits bittersweet flavours of chocolate/coffee/roasted malts and subtle dried tropical fruit notes that are complement by spicy smokiness of bourbon. La Renaissance by De Dochter van de Korenaar, a barrel-aged IPA. All English malt and hops are used for the base beer which is further matured in Puligny Montrachet barrels. The acidity departed by the dry white Burgundy complements the earthy bitterness of English hops. Before bottling, its further dry hopped to exude a crispy, fresh hop flavour, resulting in a complex beer with vinous characteristics and herbal and citric hop aromas. Most importantly, brewery wanted the true taste of original IPA that travelled from England to colonial India; such beers was held in barrels and oak would play a part in its taste. Wines are commonly aged in barrels to gain oakiness and tannins. Wines are also low enough in alcohol that allows yeast and bacteria such as brettanomyces and lactobacillus to grow on the staves. When excessive yeast and bacteria gather on the staves, they depart much funkiness and acidity that distracts from the grapes and the barrels are discarded by winemakers. Brewers, on the other hand are able make use of the yeast and bacteria culture growing on the staves to ferment beer. Beers fermented with wild yeast and bacteria are nuanced in flavour and boast vinous piquancy. During fermentation, yeast and bacteria not only converts grain-derived sugars into alcohol and CO2, but also other aromatic compounds. Different yeasts and bacterias perform this task differently and departs different flavours. A base beer is brewed in stainless steel vessels then transferred to wine barrels. The yeast and bacteria dwelling on the staves will further ferment the beer, creating depth and flavour. These beers are re-fermented in the barrel and referred to as mixed fermented or wild ales. Alternatively, brewers can add inoculated wort to a barrel or other wooden vessels and allow naturally present bacteria and yeast to ferment it, such as Belgium lambic producers such as Oud Beersel. This beer would are described as a lambic-style or spontaneously fermented beer. All our beers under the sour and funky category are a result mixed fermentation by wild yeast and bacteria culture in wooden barrels. Such fermentation creates nuanced, vinous and balanced piquant beers. To beat the hot Hong Kong weather, we recommend the Cuvee Sofiee Rabarber by Brouwerij Alvinne. The a blond sour beer fermented with rhubarb in barrels, resulting in wine like characters of dry fruitiness and refreshing acidity.